The Herd is a South African supernatural drama series which follows Bheki, a man who needed help many years ago and made a deal with a witchdoctor that came at a great cost to his present. The series explores the extent to which people will go to obtain their heart's desires, with the premise that love, power and the pursuit of material wealth and can drive a man to sacrifice his soul. Twenty-eight years ago, Bhekisizwe Mthethwa (Sello Maake Ka-Ncube) was fired from his job at a butchery after sustaining to a leg injury. With no job, a hungry wife and a baby, Bheki sought out the guidance of the local witchdoctor Ma'Mngadi (Winnie Ntshaba), who promised him a bright future if he was willing to make a great sacrifice. When we meet Bheki in the present, he's married to Ma'Mngadi with three more children: Muzi (Sparky Xulu), Nkosana (Paballo Mavundla) and Dumazile (Cindy Mahlangu). It soon becomes apparent that Bheki's big sacrifice still weighs heavily on his soul and when he chooses the successor to his cattle business, we get to see a family at odds and siblings engaged in a bitter rivalry over what each believes to be rightfully theirs. The cast also includes Zethu Dlomo as the tough and gifted gunslinger, Lwandle; Sihle Ndaba as Bheki's golden child, Kayise; Tiisetso Thoka as the Mthethwa's leading herdsman, Dingane; and Peter Mashigo as the troubled alcoholic, Magubane. How many sacrifices does it take to hold on to what we treasure the most? And can true love overcome supernatural powers? 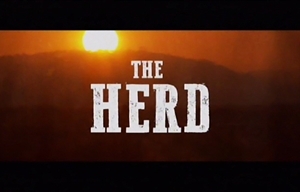 The Herd was created by Kutlwano Ditsele, Lebogang Mogashoa, Gwydion Beynon and Phathu Makwarela and is an Mzansi Magic Production produced by Seriti Films as an M-Net Original Production. The original score and title track is by Zethu Mashika. The lowdown on what to expect from Mzansi Magic, Wethu and 1Magic in the new year.